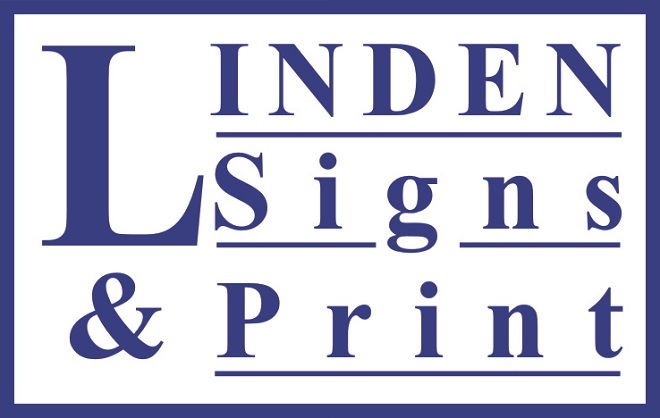 Linden Signs and Print supply signage, bespoke and standard health & safety signage and also a wide range of printed goods, from letterheads, flyers and business cards, to brochures, pens, mugs and promotional goods. Please give us the change to quote for your business needs. Linden Signs have produced some fantastic leaflets for the charity I volunteer with. Their artwork and design and skills turned our basic ideas and text into incredibly professional looking leaflets which we are proud to distribute. The service was quick and friendly, and their prices are very reasonable. We have already placed a second order and I wouldn't hesitate to recommend them to anyone. Very impressed. From the initial enquiry to receiving the flyers nothing was too much trouble, the staff were informative, helpful and very friendly answering any questions I had. Goods came earlier than expected and are of excellent quality. Will no doubt be a repeat customer. Many thanks. Kind regards. Brilliant customer service, everything I ordered was done to an exceptional standard and at a very reasonable price. Will definitely be using again. I have used Linden Signs for a number of years and always find them to be helpful, professional and inventive. Their design team is second to none and always finds a way to print the ideas that you give to them. They are a pleasure to deal with. I couldn't speak highly enough about Karen and her team, Very easy to deal with, Very helpful, Fast and fair costings, Expert advise always given, Always go the extra yard. Excellent service as this was a urgent requirement at our site in Cheshire. Karen and her entire team are friendly and approachable, from initially speaking on the phone to on-site visits to discuss needs and requirements. Karen and her team will always offer advice from their experience within the industry but are happy to work with client requests. Turnaround of work was always speedy and design amendments were understood clearly and carried out with no problems. Quotes were always competitive and where print was concerned, included design amendments. The whole team are a pleasure to work with, we haven't had any issues but wouldn't hesitate to speak with Karen if we did, who I know would sort out anything for her clients.